Young Thug Previews Remix for Lil Nas X’s “Old Town Road” – ..:::Welcome to Ballerz Mixtape:::.. Following the controversy surrounding “Old Town Road” that made Lil Nas X’s breakthrough single the #1 song in America, the 20-year-old artist has now become a household name in two genres rather than one. 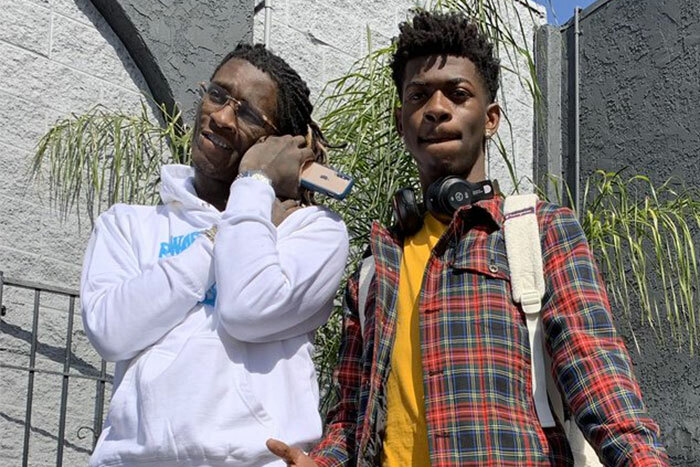 Now it appears that the viral sensation is ready to capitalize on the moment even further, as he’s recruited Young Thug to be on the official remix of what currently sits atop the Billboard 100. Both Lil Nas X and Young Thug have teased the collaboration on their social media accounts with snippets as well as the use of emojis, though at the moment it’s unknown if Billy Ray Cyrus will be included in this particular remix.